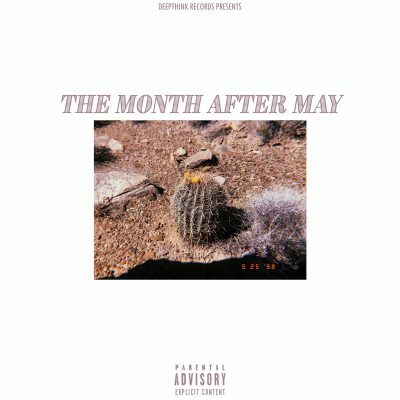 Utah local bc.einstein came out with a strong, short release of beats called The Month After May. The album acts as a perfect lo-fi demo tape, hosting four soothing songs that are fit for relaxed, sunny-summer-day listening. Despite the fact that the piece is so short, The Month After May is a quality work, showcasing bc.einstein’s talent as a musician. Each song fits the same musical theme and style. Most tracks could easily be found on any “24-hour lo-fi beat study session” YouTube video. As rap music becomes more and more wild, high-energy and intense, many have turned to more “chill” playlists, perhaps in an effort to cleanse and listen to something hip-hop related that is relaxing. bc.einstein not only follows this trend in The Month After May, but is able to make lo-fi beats with the same quality as some of the big names out there, such as jinsang and tomppabeats. On “Simple (feat. Norbzz),” samples blend together in a lovely way, paired with a very simple kick and snare rhythm. An upright bass line guides the listener through the song, which occasionally builds and releases, but maintains the same overall mood throughout. The same idea seems to be incorporated with each track on this release. Like most lo-fi artists, bc.einstein understands that simplicity is key to creating a quality track. The only song that has lyrics in it, “Spliff to This (feat. Lord Apex),” proves that bc.einstein can successfully produce a beat that can be rapped over. Lord Apex calmly and soothingly flows his way through the track and almost sounds more like an instrument than an emcee, the two musicians pair together so well. Apex’s combination of short and repetitive rhymes with bc. einstein’s loops makes the track come together very cohesively.